Here is an article by Karsten Jensen, author of The Flexible Periodization Method. How do breaths between reps help you train as often as possible, while staying as fresh as possible? We all intuitively feel that breathing between reps acts as a brief rest that allows us to perform more reps with the same load. For simplicity, in this article we shall use the term cluster training to mean both inter-repetition rest and intra-set rest. Based on the description above, cluster training is not limited to the particular length of a set or length of a cluster. Fundamentally, all qualities of strength could be developed with cluster training. Thus far (article published 2015), scientific literature provides results only for relatively short sets and short clusters. Based on available research, it appears that one of the key effects of cluster training is increased power output during resistance training and, in some cases, lower strength gains when compared to regular training. Additionally, cluster training can help you maintain good form throughout an exercise, particularly if you are new to lifting. Why? In some cases, we are able to perform the first rep with good form, but as fatigue sets in our form deteriorates. With cluster training we can make each rep like the first rep. This article investigates some scientific findings on cluster training and suggests practical ways to benefit from cluster training throughout a hypertrophy and a strength phase in your periodized training program. - Skilled lifters performed one set of clean pulls with 90% 1RM and one set of clean pulls with 120% 1RM in a traditional format; and in a cluster format with 20 seconds of rest between each repetition. The cluster format resulted in significantly higher average bar velocities at both intensities and greater vertical bar displacement in the 90% condition. The effects of 3 types of set configurations (cluster, traditional, and undulating) on barbell kinematics were investigated in the present study. Thirteen men (track and field = 8; Olympic weightlifters = 5) (mean +/- SEM age, 23 A +/-1.1 years; height, 181.3 +/- 2.1 cm; body mass, 89.8 +/- 4.2 kg) performed 1 set of 5 repetitions in a cluster, traditional, and undulating fashion at 90 and 120% of their 1 repetition maximum (1RM) power clean (119.0 +/- 4.3 kg). All data were collected at 50 Hz and analyzed with a V-Scope Weightlifting Analysis System. Peak velocity (PV) and peak displacement (PD) were analyzed for each repetition and averaged for each set type. Results indicated that a significantly (p < 0.016) higher PV occurred during the cluster set when compared with the traditional sets at both intensities. PD was significantly higher than traditional sets at the 120% intensity. The present study suggests set configuration can affect PV and PD during clean pulls. and displacement during a clean pull.” J Str Cond Res 17 (1): 95–103 (2003). - Male subjects with experience in resistance training performed single repetitions of the bench press and biceps curl at 90% 1RM with 30 seconds of rest between sets. Subjects achieved on average 20 or more repetitions with 90% 1RM while maintaining mean velocity. "Analysis of Factors That Influence the Maximum Number of Repetitions in Two Upper-Body Resistance Exercises: Biceps Curl and Bench Press" - Iglesias, E., et al. - Recreational weightlifters performed 3 sets of 6 reps of the power clean (80% 1RM) with 0, 20, or 40 seconds rest between each repetition and 3 minutes of rest between sets. Power, force, and velocity were reduced from the second rep in the condition with 0 seconds rest between reps. The cluster configuration allowed for maintenance of peak power, force, and velocity in a multi-set protocol with no differences seen between 20 and 40 seconds rest between reps.
"Effect of Inter-Repetition Rest On Power Output in the Power Clean" - Hardee, J.P. et al. 2 x 3 reps (100 seconds rest between clusters). There was a drop in power for each repetition in the 1 x 6 condition. A significantly greater power output was observed in all cluster configurations with no difference between any of the configurations. "Effect of Inter-Repetition Rest Intervals on Weight Training Repetition Power Output" - Lawton, T.W. Note: there are also several short term McScience studies as well. 1) Cluster training allows for maintaining a greater power output throughout a training session. 2) Cluster configurations may allow for a higher volume of a given intensity. 1) Similar improvement in muscle mass. 2) Greater or less increase in maximal strength. 3) Greater or no increase in power. How are the above results explained? Force and power tend to drop from the 2nd rep in a continuous set. Partial recovery of adenosine triphosphate phospho-creatine (ATP-CP) stores may occur in 15-20 seconds, which may explain how force and power output can be maintained over multiple reps and multiple sets. The recovery between reps allows the lifter to handle near maximal weights for many reps with a possible benefit to hypertrophic and neural adaptations. Paradoxically, the upside of cluster training (the prevention of fatigue) is also the downside of cluster training. Fatigue plays a role in maximal strength development by activating more motor units that metabolize fatigue-related events, such as lactate, that trigger muscular adaptations. It appears that continuous sets and cluster training may provide complimentary training stimuli. However, the fundamental definition of fatigue is a reduction of force or power output. Thus, it could be hypothesized that one way to hit a sweet spot, where you get the positive effects of cluster training and fatigue, is to use clusters that are longer than one rep. This section will apply the above findings to a periodized training plan that includes a Hypertrophy and Strength Phase. As the title of this article notes, with cluster training, we have the opportunity to develop muscle mass with more power, and maximal strength with more power. The program is written predominately with multi-joint or whole body lifts in mind. 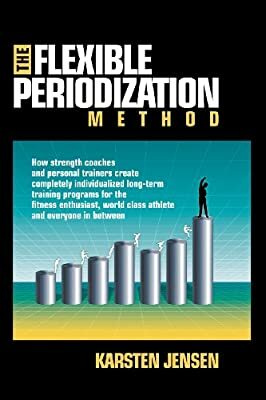 In addition to scientific findings presented here, the program applies several strategies from my book, The Flexible Periodization Method (2010). Below is a 3-Week Cycle that can be repeated, possibly with an active rest in between. - Begin the cycle with a 4RM load. Perform multiple clusters of 2 to 1 reps, with 20 seconds to 1 minute of rest between clusters. Aim for a total of 20 - 16 - 12 reps in week 1, week 2, and week 3, respectively. Increase the load by 5 pounds each week. Decrease cluster length and increase rest as needed. - Begin the cycle with a 6RM load. Perform multiple clusters of 3 to 1 reps, with 20 seconds to 1 minute of rest between clusters. Aim for a total of 24 - 20 - 16 reps in week 1, week 2, and week 3, respectively. Increase the load with 5 pounds each week. Decrease cluster length and increase rest as needed. You can obviously make adjustments to the above program to fit your individual needs. Cluster training should provide a good training format to improve hypertrophy, strength, and power, and with correct application, you can hit the sweet spot with the optimal amount of fatigue.